IBM® Migration Utility for z/OS® migrates CA Easytrieve Classic and Plus applications to IBM COBOL. It protects your Easytrieve investments by using Easytrieve source code from the original library. Generate IBM COBOL reports and update or create Easytrieve applications. 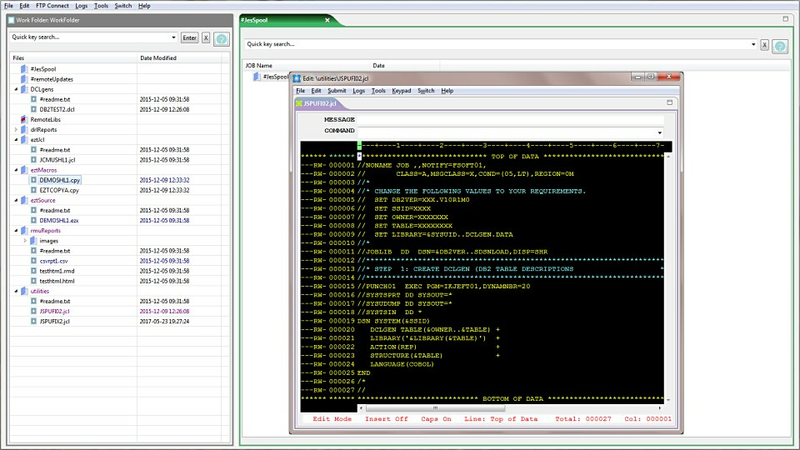 This COBOL migration utility includes discovery, batch conversion, parallel testing and electronic output comparison. Program abend analysis simplifies output to web servers on IBM Z® systems and distributed platforms. Use the IBM Migration Utility Explorer with multi-threading capabilities to perform mainframe tasks on your Windows 7 or Windows 10 workstation. Process batch-convert programs more efficiently with automatic conversion and parallel testing. Maintain your source code in either Easytrieve or COBOL. IBM Migration Utility for z/OS works with VSAM, QSAM, SAM, IBM DB2® (native and CA Easytrieve SQL syntax and Dynamic SQL mode), IDMS, IBM IMS™ (DL1), tape files and unit record devices. The available IDE gives you real time syntax checking and the ability to view errors, so you can avoid submitting jobs that would fail later.